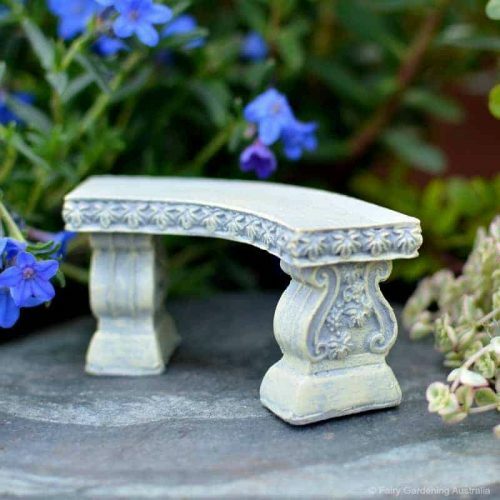 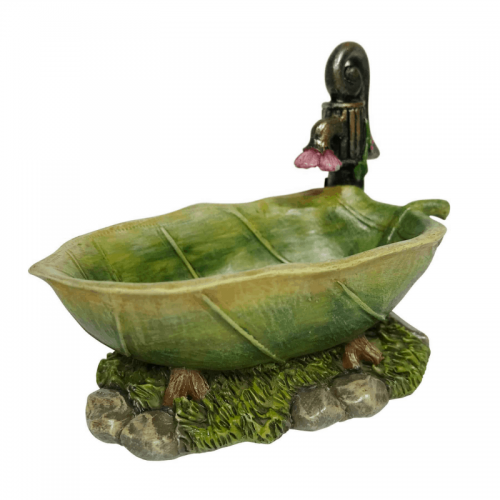 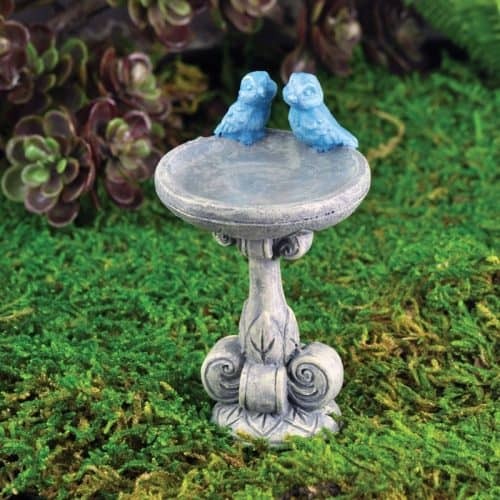 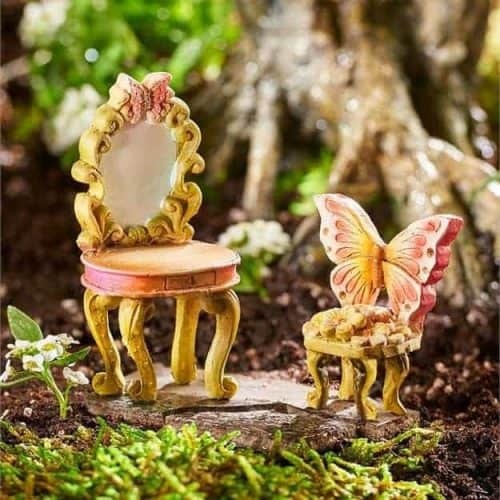 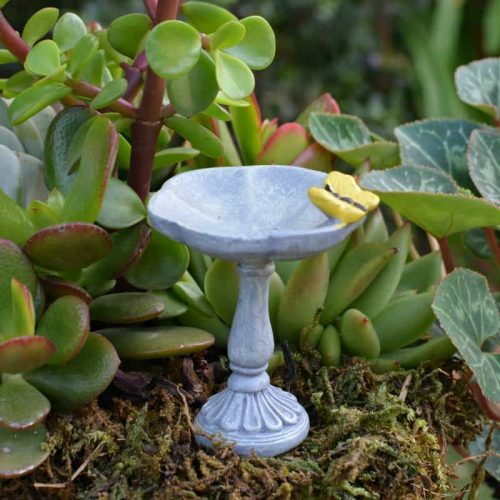 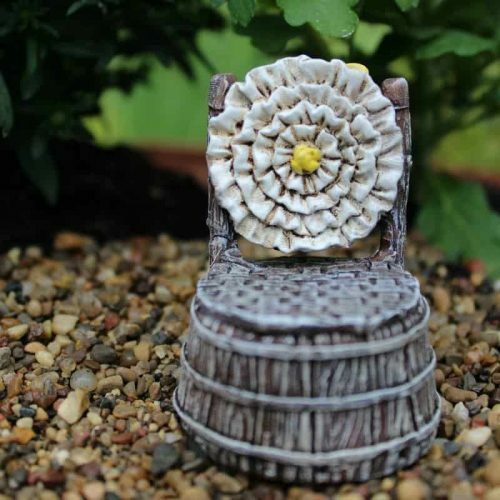 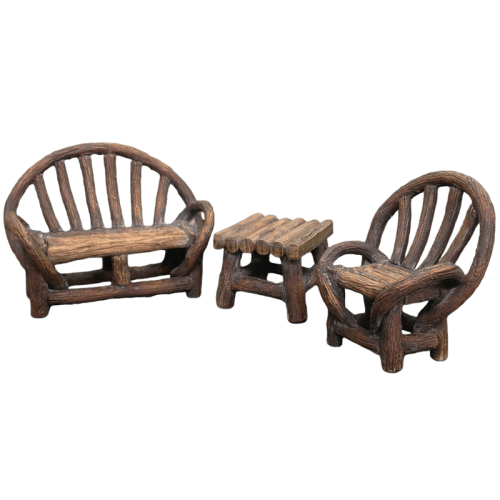 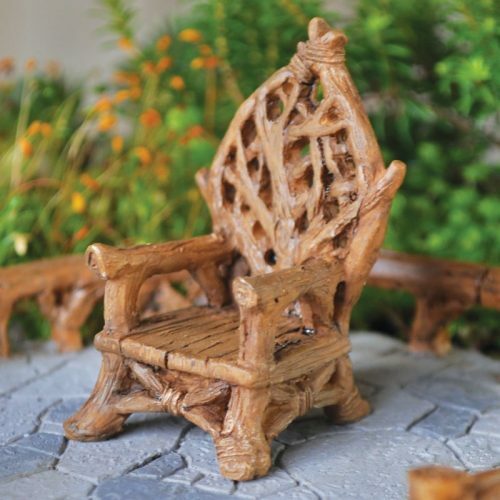 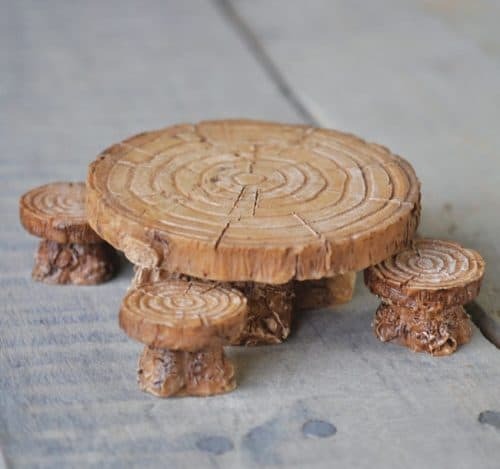 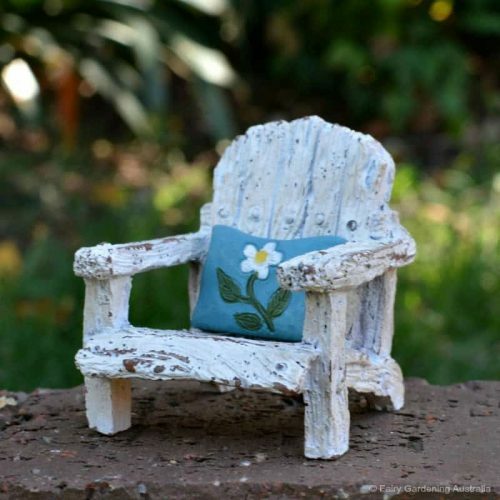 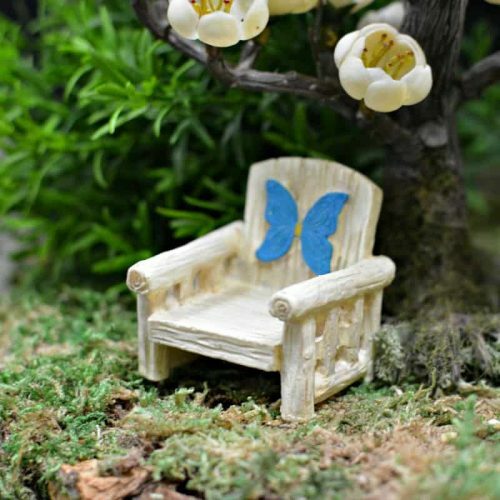 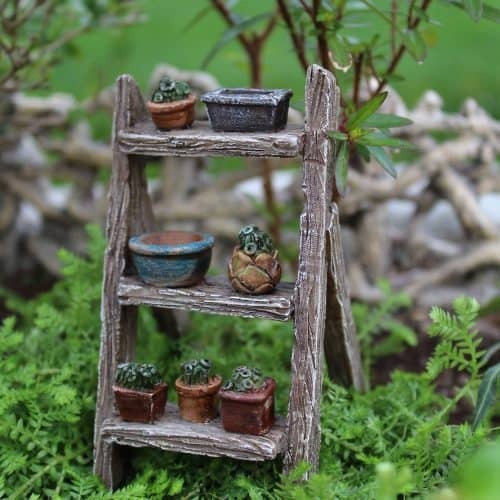 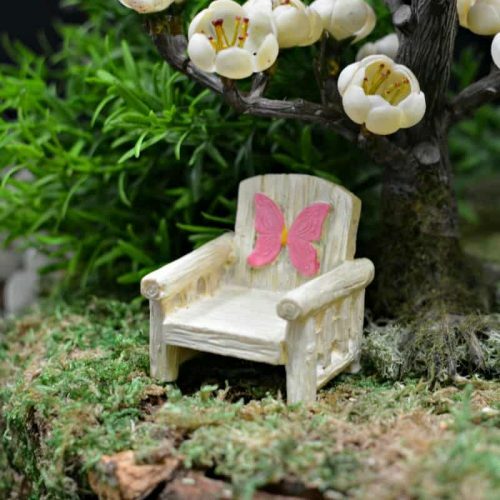 Beautifully designed miniature furniture adds interest to your scene and comfort for the residing magical folk. 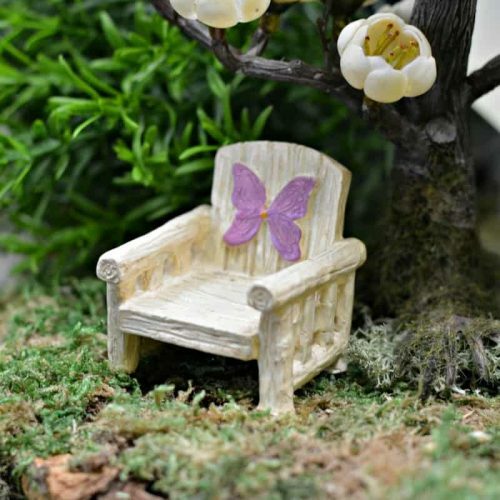 Take a simple bench seat for example. 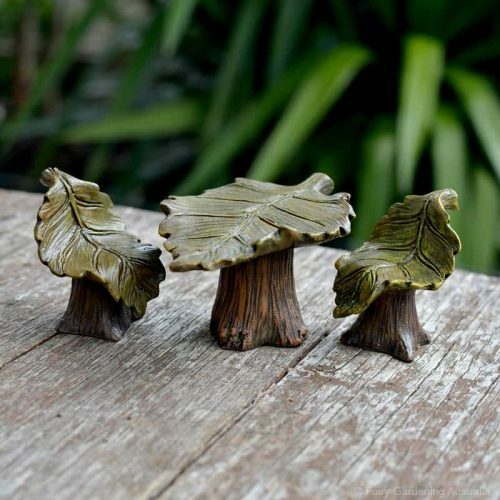 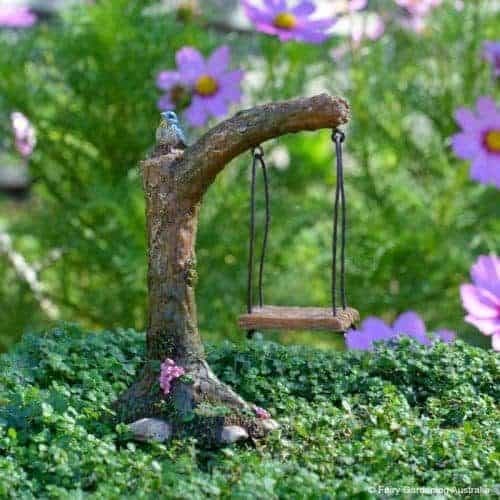 Position it under a low branch and suddenly it becomes a place where best friend fairies meet. 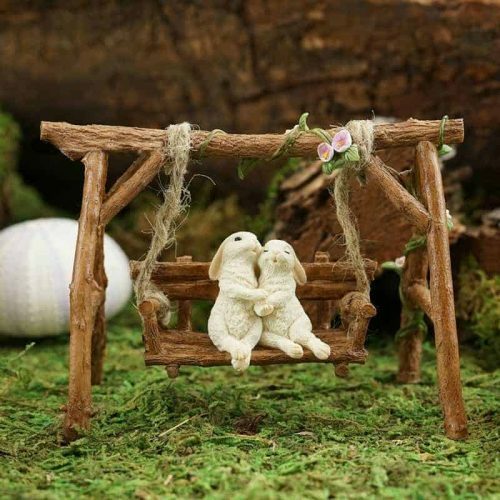 They share secrets, giggle at each others jokes and enjoy a shared lunch of tea and wild berries. 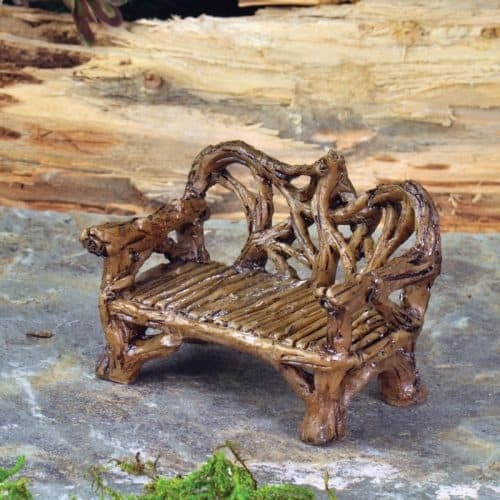 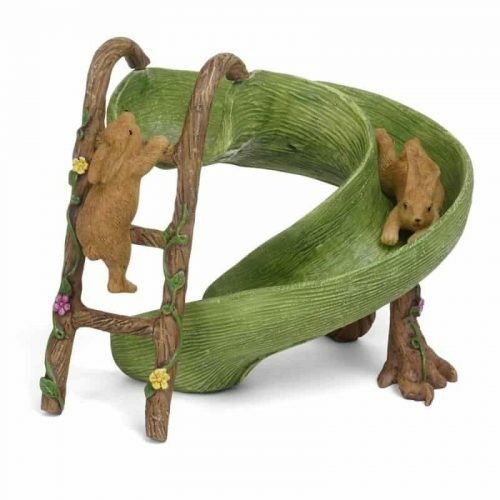 All their grand adventures begin as a whisper in their friends ear on this bench! 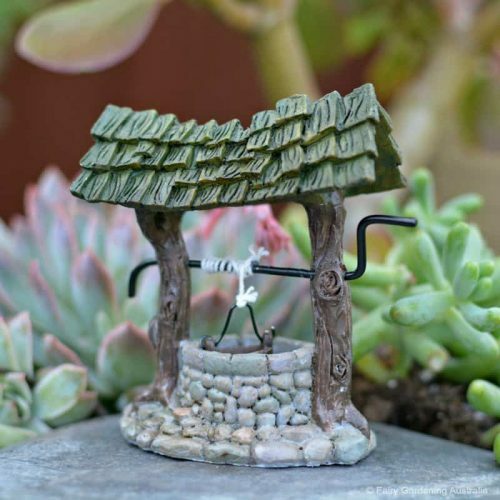 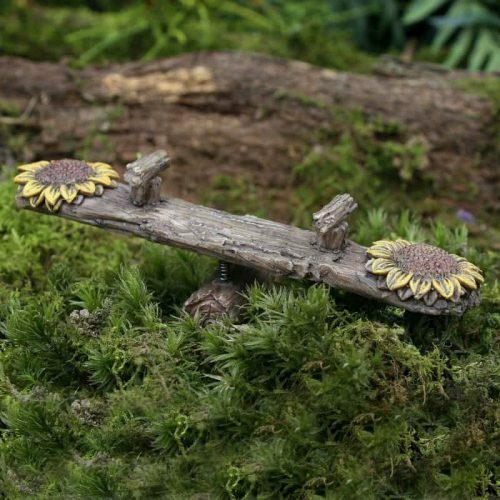 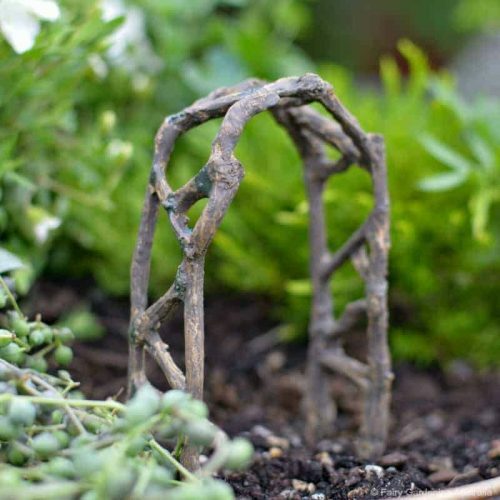 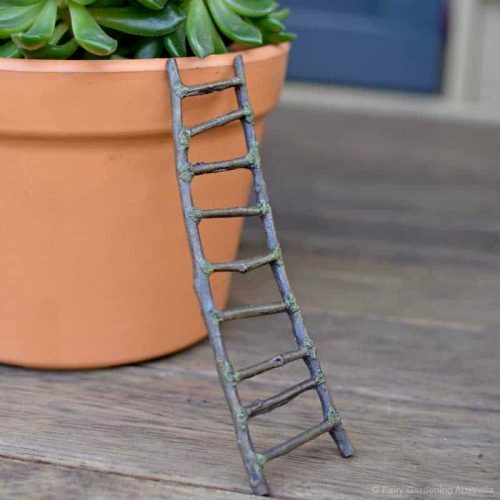 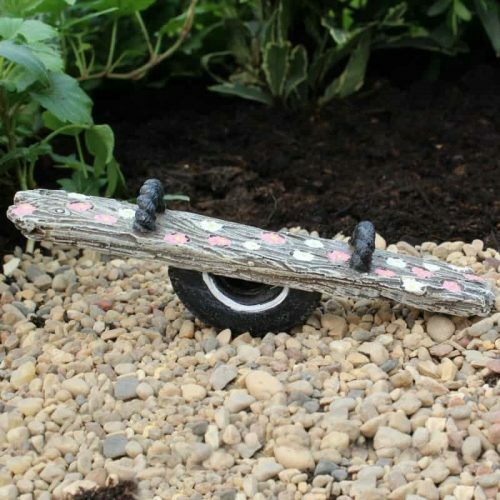 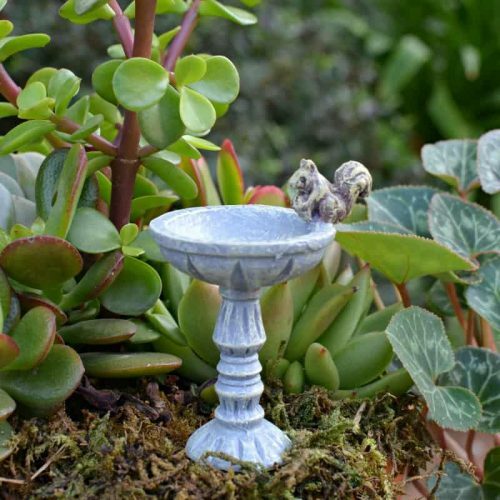 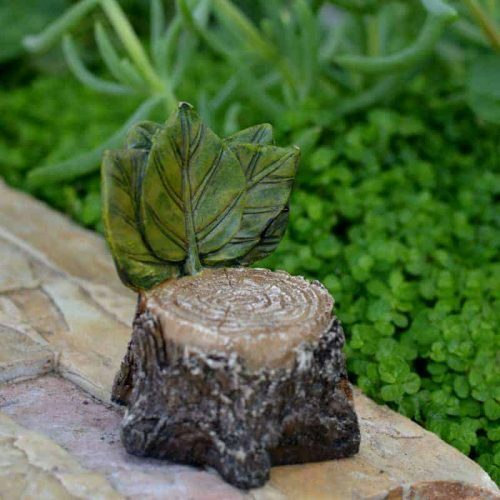 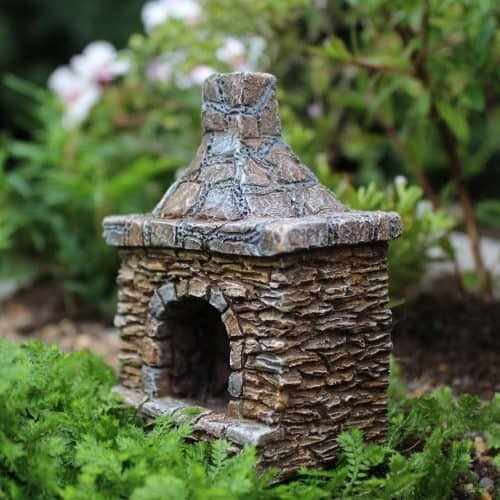 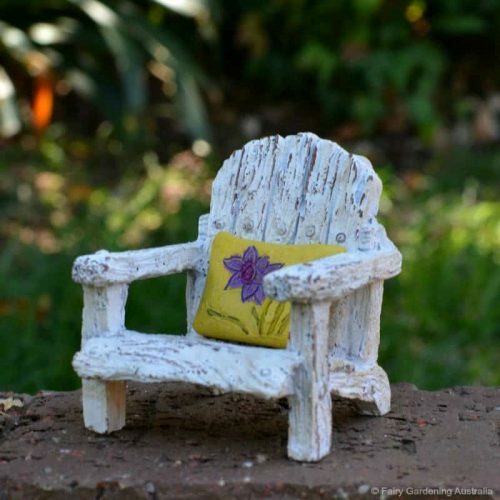 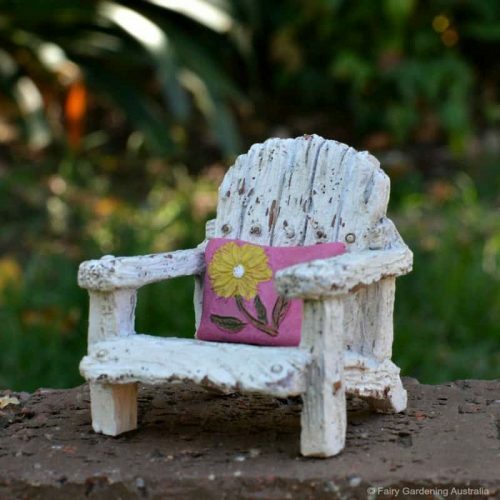 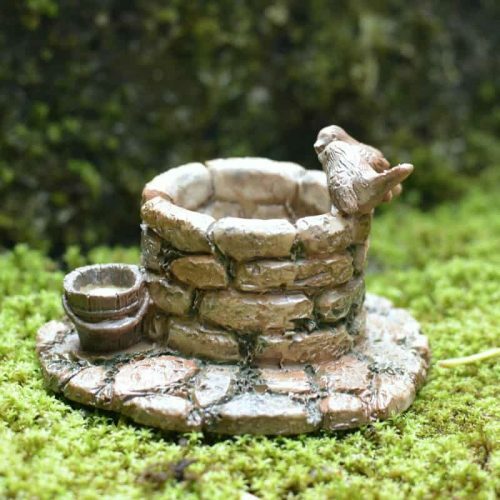 Every element you add to your fairy garden opens the opportunity for story telling.